Rendering the oppressed invisible is a prerequisite to explosions like we have seen in Baltimore. I feel the pain of these kids. Let’s remember I grew up on similar tracks as them… It’s just not easy seeing a community [where ] you are trying to affect change in, seeing these kind of things, but it’s understandable because these kids are hurt. And these kids have seen the pain in their parents’ eyes, the pain in their grandparents’ eyes over decades and this is their way of speaking on behalf of their parents and behalf of their grandparents and people who have been hurt. Many this past week have quoted Dr. King’s famous phrase that rioting is the language of the unheard. It’s quoted so much because it’s so true. So many of people who live, work, and die in Baltimore have been unheard, unseen, and unacknowledged… until now. The way our current system operates, no one sees and hears the pain of the poor until they fight to make themselves seen and heard. Adam Jones sees them. 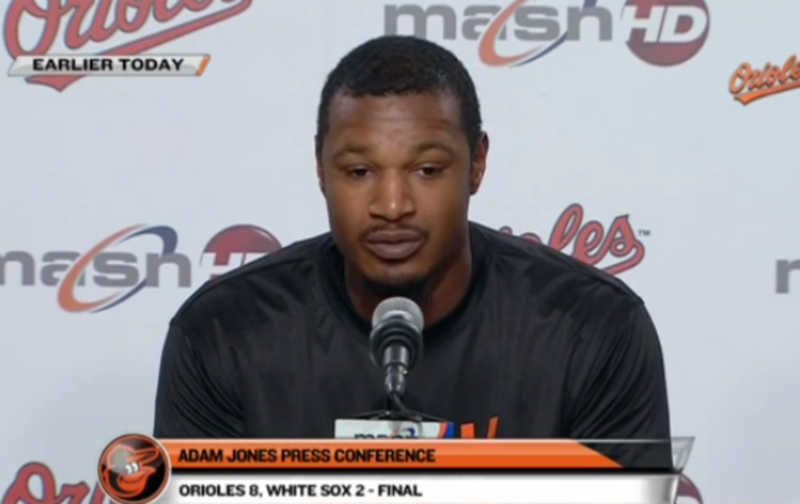 Adam Jones hears them. At the very least, we all have to meet that standard.